All thanks to a Facebook post. 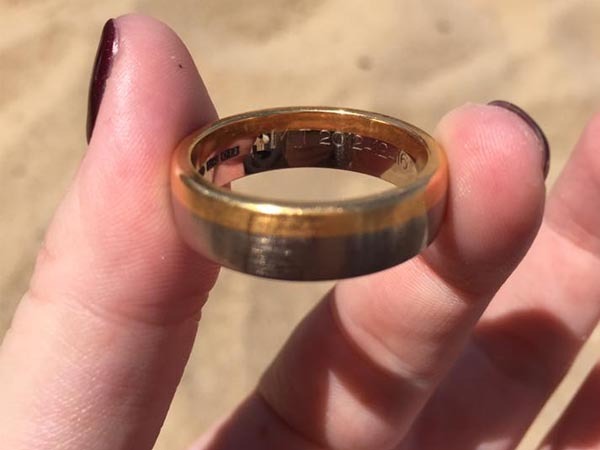 A post shared 137 000 times on Facebook about a wedding ring that was found in the sea at a Caribbean island helped to trace the owner -- all the way in South Africa! Julie Campbell and her husband, Colin, from South Carolina, America, were enjoying their honeymoon on the island of St Lucia in the Caribbean when they found the ring in the water. They shared a photo of the ring with information about the find and encouraged people to share the post. And how the post was shared! A total of 137 687 times. “We found a treasure at the bottom of the ocean yesterday in St Lucia," Julie captioned a photo of the ring. Eventually the owner of the ring made contact with them from South Africa. "The ring got lost on a family vacation while the couple was playing in the ocean with their children," Julie updated her post. "The man said he threw a ball to his kids and the ring went with it. They were not staying at Sandals Regency La Toc so the ring travelled from another area on the island. "The couple lives in South Africa and will have their ring back soon. Thank you all for your help in finding them."